Providing the Gold Country area with professional, fast and eco-friendly junk removal services. Your website is a lot like a storefront window. It allows potential customers to “peek” inside to see what is going on. That’s why you want to make sure your family-friendly amenities are featured upfront. Don’t make a visitor have to go look for them. If you’re using photos, then photos of happy families are the way to go for your landing page. Make sure you are highlighting family-friendly amenities and nearby recreational attractions. Keep in mind that many people search for hotels on their phones or tablets. Your website needs to be adaptable for those platforms. You should know where families would be heading. If there are local attractions within driving distance of your hotel, then that’s what you should feature on your website as well. Make it easy for mom and dad to know exactly how far they would have to drive to get to places like theme parks or zoos. You can even form partnerships with those attractions whereby you offer discounts. Both sides benefit. It is vital that your staff is on board with your family-friendly approach. They should anticipate concerns and solve them before they’re even asked. For instance, offering a crib, a highchair or a foldout bed would be a nice touch especially if the family hasn’t requested it but your staff notices they might need it. If you offer room service or have a restaurant in the hotel, then you want to make sure there is a decent children’s menu. When you get right down to it, kids are easy to please. It’s either chicken fingers, grilled cheese, pizza, hot dogs or hamburgers. And don’t forget the French fries! Kids can end up playing on the floor of their room. That’s why moms will check to make sure the room their staining is as clean as it possibly can be. 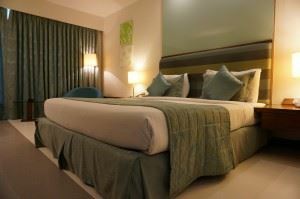 Even though the room a be spotless there could be other zones in your hotel that look cluttered. You don’t want to have anything piling up in hallways, garages or by the side of your hotel. That type of clean up as best handled by Junk King Chico. These are the professional junk haulers that provide a fast moving team and a huge truck. They’ll be able to clear out any amount of old furniture, appliances or other kitchenware in no time at all. If you want to keep your hotel clear rubbish, then make sure you bring in Junk King Chico. This entry was posted in Chico Junk Removal and tagged clutter, families, hotel, Junk King, junk removal, rubbish on July 31, 2017 by Junk King. Last updated July 31, 2017 .